A lot of folks are suffering from a syndrome called “misconception’’. Perhaps they’ve been misled by the many eBooks that they’ve read telling them that proofreading is an “innate’’ ability. I beg to disagree with such concept because the reality is that, it is an acquired skill. Over the past three years since I discovered the writer in me. I have since been practicing the trade called ‘’proofreading’’ and even ‘’editing’’. Since we are talking about proofreading I’d rather not talk about editing as it is another topic on its own. If you wish to learn more about editing, freelance writing, proofreading and stuffs related to writing, do make sure you check out Sue Neal’s blog. She has written tons of insightful posts about them. 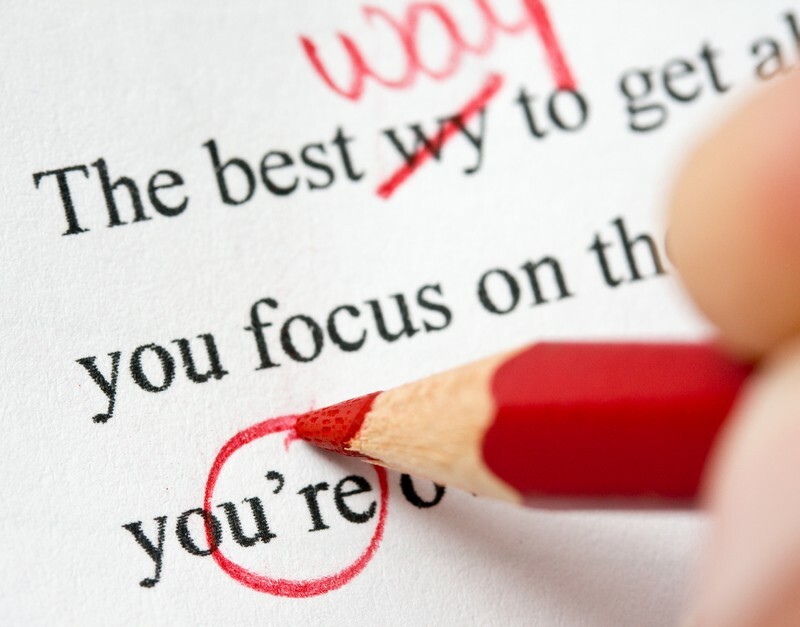 However, in this article, I will be encapsulating some of the truth about proofreading in my “tested and proven tips to becoming an expert proofreader”. It’d be good that you read it carefully as it surely will transport you to a higher plane of becoming that expert proofreader you’ve always long of. So you want to become an expert proofreader? The best person to judge you is you. By this I mean that you alone can determine exactly what your most common mistakes are. For instance, you can determine which holds best, whether it’s putting the ‘B’ before the ‘A’ or simply excluding the colon; once you’ve familiarize yourself with your common mistakes proofreading would become much easier. Are the Words Aligning Well? Always have it at the front of your mind that proofreading is not about misspelled words only, you must also watch out for incorrect sentence structures, repetition, and text which does not flow well together. By creating space I mean leaving your write-ups for a while. Trust me taking a break from your work and returning to it later gives you a new outlook and this will surely help with your proofreading. This technique has helped me a lot in proofreading my works. When you read the text slowly and loud to yourself you catch a lot of hidden errors. 2) Repetition of words in the same paragraph. Often times, your subconscious will play tricks on you. Sometimes you read what you think should be there not what is actually there. For instance, “I going to Church”. When it ought to be, “I am going to Church”. You kept mentioning the ‘am’ while reading but unfortunately it’s nowhere to be found on the paper. That’s your subconscious playing tricks on you! You need a skill to overcome your subconscious and it simply is reading what is actually on the page. Do not settle for one quick glance over your paper. Read it over and over again. Doing this will help you know if or not you actually missed any possible errors. 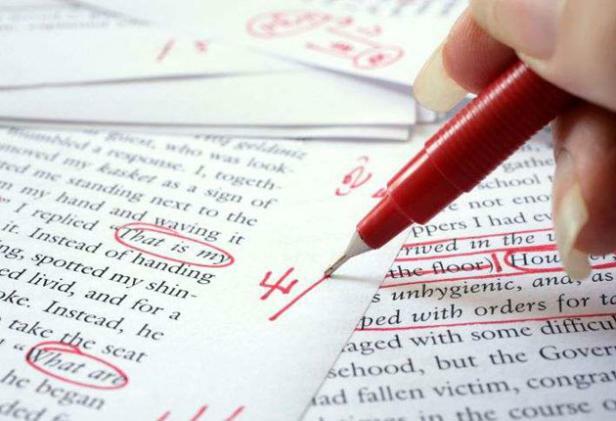 After proofreading your work try to give it to a friend to further proofread it or better still hire a professional help. Trust me there’s nothing like another set of eyes perusing and critically analyzing your work for you. Owing to the several hours of scrutinizing and perusing of your work, it becomes too familiar to you. So having an unbiased individual view your work is never a bad idea. If like me you love working on MS Word, you would have noticed that there are some errors in your work that the Application did not catch due to the misspelled word being a word too. For instance, “you’re and your OR wear and were OR thee and the”. So you have to be extremely cautious, that is, being wide awake. See, if you don’t give maximum attention to your work, you may end up misspelling or incorrectly structure a sentence. Remember that your mind works faster than your fingers. I have come to realize that when I proofread somebody else’s work I quickly and easily detect errors than when I proofread mine. Do you know professional writers proofread their work over 10 times? Well, I’m sure if you follow the guidelines highlighted herein and make it your close companion you would ultimately become an expert proofreader! Do you agree with my guidelines? If not, what are the methods you think works best? Why not share it with us in the comment box section, so that we could all learn. Sam Adeyinka is a blogging enthusiast who enthusiastically writes his thought atPromotivator. And who by all means try to help and inspire others with his posts! That said. Sam is also a web designer and a talented motivation speaker. Some really nice tips. I think too many think proof reading is boring and try to rush through it, but it really reflects bad on your work. Hey Apollo, I’m so glad to hear your take and you are so right bout people’s rush. The end result of that kinda act is CRAP, is it now? I can’t agree less with you on these proofreading tips especially coming back to take a second look on your articles before publications. I often do this and a lot of other tips you shared here and this has really helped me keep to the minimum the number of errors on my blog posts and i must say it’s nice to see you publish your article on Nopassiveincome. Keep it up, you have really shared some good tips here to becoming an expert proofreader. Glad you enjoyed the article, Nwosu. I’m glad you resonated well with my point of view. And thanks for your kind words. It’s much appreciated. Sam, to be honest, I don’t really enjoy the process of proof reading. But still, I must go through this grind. And you are absolutely right, just glancing is a strict no-no! Despite revising repeatedly, I end up with errors on post! So you can imagine how ‘concentrated’ and careful one has to be while proofreading. I think the ‘pranks’ that the ‘subconscious’ plays is responsible for it 🙂 Despite a mistake being present, I tend to read it correctly. Taking a break helps for sure, no doubt about that. And reading aloud helps me identify ‘very long’ sentences, which I break down appropriately. Shorter sentences are better, aren’t they? Sam, I thoroughly enjoyed this info packed post. Hey Arun, I’m so glad to see you here as well. Thanks for taking your time to comment, Arun! It’s much appreciated. Great write and thanks for sharing. I can’t agree more with the read it aloud. As far as it may sound crazy, it really works! Reading a loud has become a part of me and it has always worked for me like magic. Yeah it sounds crazy….so long as it works, who cares? I’m glad you came man! i read the article and found out some main points that KNOW FROM YOUR MISTAKES and RIGHT SPELLING . I’m impressed by these points the most because if a person can’t teach from his mistakes then he will never success in his life further. Quite impressive and beneficial article. Thanks for sharing your thoughts, Nitin. but i really enjoyed the article. It was the one of the best articles, i ever read. Hopes that you will continue to the way like this always. Proofreading is really important that people can understand what you trying to say, about me, I just wanna keep it simple, write like I speak can really show your personality. Love these tips! Identifying our own mistakes and rectifying them can be a bit difficult but not impossible and its one of the most important thing that a person can do in such context ..isn’t it? Thanks for sharing these tips with us mate ! You are so right man! It’s hard but not impossible. It’s very vital as well as critical to know your mistakes as knowing it alone would help in being able to correct it. So glad you liked it. Know Your Mistakes is the good idea, maybe the best in my opinion. You have to know your mistakes as a audiences’s position, that the best way you can fix them and improve your skills more effective. Hey Stephan, I’m so glad to see you hear. I know you thought Erik wrote it, I’m sorry to bump into you but I wrote it. (kidding). You are right dear, knowing your mistake is really important and must therefore be seriously looked into. And yeah Mr. Erik, I’m so glad you have given me this rarest opportunity to be published on your blog sir. I’m honored. Hello Sam, am so glad you did it again, this is a bomb dropped directly in front of me, proof reading has always been my weakest point but this guides can really help me over come it. Thanks Ade, i always love your write ups. Hey Isaiah, How are you doing man? Sorry I’m late. Haha………..funny you! It used to mine weakest point too at some point but I since learned how to by the many eBooks and visits to Sue Neal’s blog. Thanks for your kind words friend. I’m honored and I so love yours too! Great tips, Sam – I can’t disagree with any of them, and I’m so pleased you’ve differentiated proofreading from editing, as a lot of bloggers seem to think they’re the same thing. I think it helps to print your stuff out for proofreading if you can – you’ll often spot mistakes on the hard copy that you’ll miss when you read it on screen. If you must proofread on screen, it’s a good idea to eliminate distractions (e.g. use the F11 key or use the distraction-free writing mode if you’re drafting it in WordPress) and it also helps to enlarge the print using the zoom function. At the end of the day, as you suggest in the post, it’s hard to beat getting someone else to look your draft over for you – my husband invariably spots some obvious howlers I’ve missed, no matter how often I check through my own work. I do agree with all the points you made. For me one of the toughest ones to spot is short repeated words, especially with a line break. I tried once to become a proofreader, and did some proofreading for free, but learned it can be very hard to get hired when you’re not a native speaker. I still love reading, writing and proofreading but sadly had to move on to other things. I know the advice you give here will help a lot of people who might still succeed. Hey Pau, good to see you here. You are right but truth is you can always be a professional at it only if you are willing to be. It wasn’t always easy for me too but continuous practice got me here. Hi Sam Adeyinka, I really love this post. Love the way you write your posts. The information in this article is really unique and useful for me. After reading this article, I think I have some ideas for myself. I do follow your articles recently. Thanks for sharing this post. Hope to read more interesting information from you. Have a nice day. Hey Hangpham, how’s you? Trust you’re good. Thanks for the kind words and I’m glad you learned something new from my post. Nice review Sam Adeyinka I tell you, I’m loving your blog more each day I definitely will be featuring you in a blog post very soon. Wonderful tips mate, Proof reading is really important and I think I’ve been very poor in it. Your tips are really informative. And you are absolutely right about “Don’t Just Glance” we just don’t need to hit publish quick. I’m glad you like my tips and I hope you will start implementing the points churned out there. Please do and tell me about your growth as you okay. I’m sure you know how to find me, right? And please do make sure you stay tuned to this blog and mine by subscribing to get the latest in it okay. Hi Sam Adeyinka , I really love this post. Love the way you write your posts. The information in this article is really unique and useful for me. After reading this article, I think I have some ideas for myself. I do follow your articles recently. Thanks for sharing this post. Hope to read more interesting information from you. Have a nice day. Well I must say I’m a bit week in proof reading I was about to gather all the tips from many posts and I jumped into here. I think I’ve got all the necessary tips here. Thanks. I’ve always wanted to become a professional proofreader. I heard it pays well.